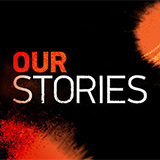 Karena And Kasey's Foreign Flavours is a TV show on Australian national television from NITV with an average rating of 3.5 stars by TVCatchUpAustralia.com's visitors. We have 10 episodes of Karena And Kasey's Foreign Flavours in our archive. The first episode of Karena And Kasey's Foreign Flavours was broadcast in June, 2018. Did you miss an episode of Karena And Kasey's Foreign Flavours but don't you wan't that to happen in the future? Please set an alarm and add Karena And Kasey's Foreign Flavours to your favourites, so we can remind you by email when there's a new episode available to watch. Completely free: handy! In their final destination, Karena and Kasey are in the Pacific visiting New Zealand's closest neighbour, New Caledonia. A perfect foodie fusion between Pacific Island produce and French cooking. Karena and Kasey land in the food mecca of Tokyo and find them selves being auctioned off for a charity. Karena and Kasey land in Chile's capital Santiago, where Karena meets two chefs from acclaimed restaurant Peumayen, who show her how the future of Chilean cuisine is looking to it's ancestral past. Where most people visit Bali, Karena and Kasey head to the Indonesian capital of Jakarta to learn about one of the most miss-understood cuisines and then to Badung to meet celebrity chef, Bandung Bob. Karena and Kasey hit Shanghai and waste no time sampling some local delicacies, they then head to Nan Xiang, the home of the famous soup dumplings and get some one on one time with a dumpling master. Karena and Kasey are in LA, the city known for starting trends, from food trucks to veganism to celebrity chefs and a few kooky characters along the way. Karena and Kasey arrive in Vietnam's capital Hanoi in search of some of the cities famous street food. They then head to beautiful Hoi An, where they meet one of Vietnam's most famous chefs. This week Karena and Kasey are in Vietnam ending up in the lantern town of Hoi An to prepare for their challenge which will be their toughest but most rewarding yet. They took Master Chef NZ by storm, now Karena and Kasey are taking their cooking skills on a global world tour!